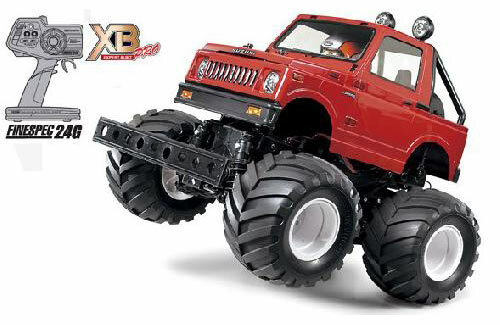 All Products > "57835 Tamiya 1/10 XB Jimny Wheelie 2.4GHz"
This is a Ready to Run XB (Expert Built) radio control car of item 58531 Suzuki Jimny (SJ30) wheelie. The Suzuki was first introduced as a kit. It is now available for radio control car enthusiasts who are looking for an expert built kit from Tamiya's assembly line and expert builders.